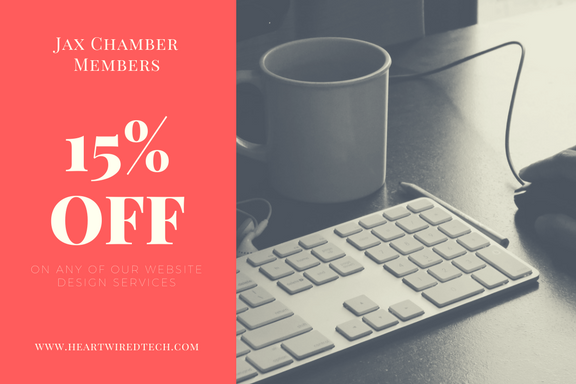 Jax Chamber Members enjoy 15% off any of our website design solutions. Mention that you are a Jax Chamber member at time of consultation to receive discount. Send us a referral and we will pay you a referral fee upon completion of the project. Give us a call 904.660.5185 or visit us online www.heartwiredtech.com to get your new website design project started today. We look forward to serving our local Chamber.